Across virtually every sector, professional burnout is quickly becoming an urgent issue for employers. Burnout is particularly common in fields like social work, teaching and medicine. Physicians report higher burnout rates than almost any other profession, and studies show it’s getting worse. According to a report in Mayo Clinic Proceedings, 54.4 percent of physicians indicated that they experienced at least one symptom of burnout in 2014. That’s up nearly 9 percent since 2011. The study also shows that physician burnout isn’t directly related to any particular region of the country — it’s an industry-wide problem and requires an industry-wide solution. 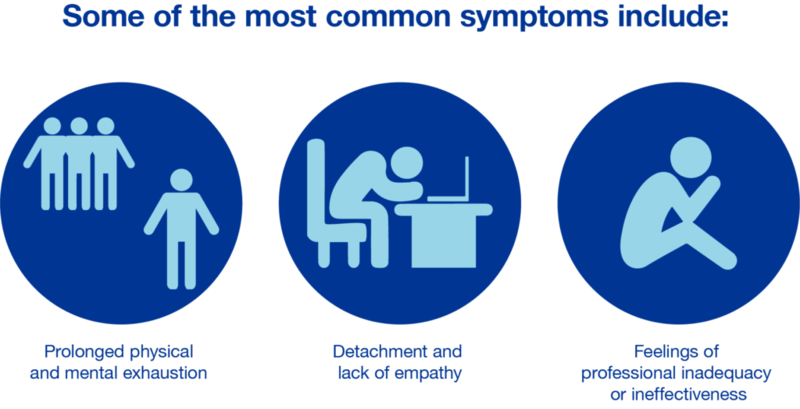 Burnout can cause depression, alcohol abuse and even suicide, and with physicians’ suicide rates among the highest of any profession in the country, it’s essential that everyone inside your organization be on the lookout for signs that a colleague is experiencing burnout. There are many causes of professional burnout, such as having a poor work-life balance, but physicians tend to have a few distinctive contributing factors — including administrative tasks like recording notes in the EMR and trying to coordinate care outside of their organization — which make them uniquely susceptible to burnout. Electronic health records (EHR) have completely changed physician workflows, but physicians often report — and studies show — that they spend too much time in the EHR and not enough time with patients. In fact, a 2016 time motion study shows that for every hour a physician spends with a patient, he/she spends nearly two hours in the EHR. The study also reports that physicians spend only 27% of their time in direct patient interaction. Physicians understand that patient care extends far beyond the four walls of their organization, and they often take responsibility for helping coordinate care across the patient’s care continuum. Unfortunately, the EHR can’t always connect physicians to members of the patient’s care team outside the organization or on-call physicians, so coordinating care adds another layer of frustration as physicians engage in an extended game of phone tag. In relying on EHRs for clinical communication, healthcare organizations have built communication islands that limit care collaboration and waste physicians’ time. Preventing burnout takes a combined effort between the physician and the organization, but the first step to preventing physician burnout is simply acknowledging the problem. Burnout is a taboo topic across industries, and to truly address it, we have to make cultural changes that make it easier for physicians to admit they’re experiencing symptoms of burnout and seek help when they’re feeling overwhelmed. 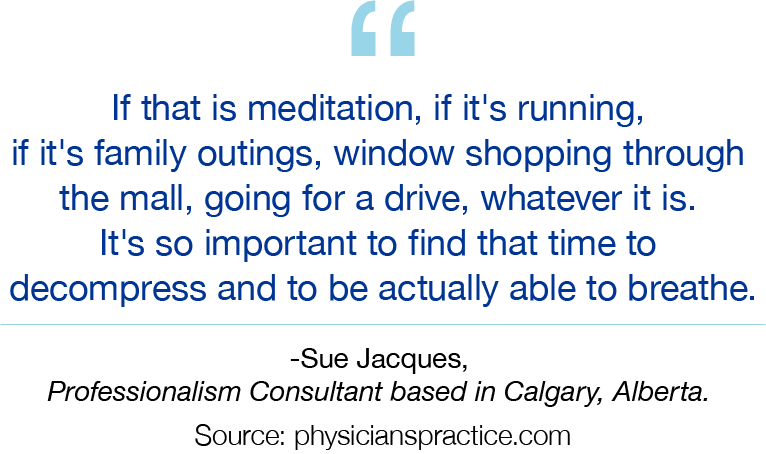 Giving the proper care to patients requires that physicians take care of themselves as well. When physicians are starting to feel mentally and physically tired, it’s necessary to take some time off to reconnect with friends and family and reevaluate their diet and exercise regimen. For healthcare organizations, finding ways to free up physicians from administrative tasks can help stabilize their work-life balance. Scribes, for example, can help physicians focus on their face-to-face interactions with patients and spend less time documenting in the EHR. Additionally, a clinical communication and collaboration platform can make it easier and quicker for physicians to coordinate care inside and outside the organization, giving physicians more time to focus on the patient. When a physician is burned out, it has ripple effects throughout the hospital or practice. Left unchecked, physician burnout can have an extremely detrimental effect on the organization’s ability to deliver quality care to patients. Understanding what causes burnout and how we can address it is essential to the health of our physicians, patients and healthcare organizations.